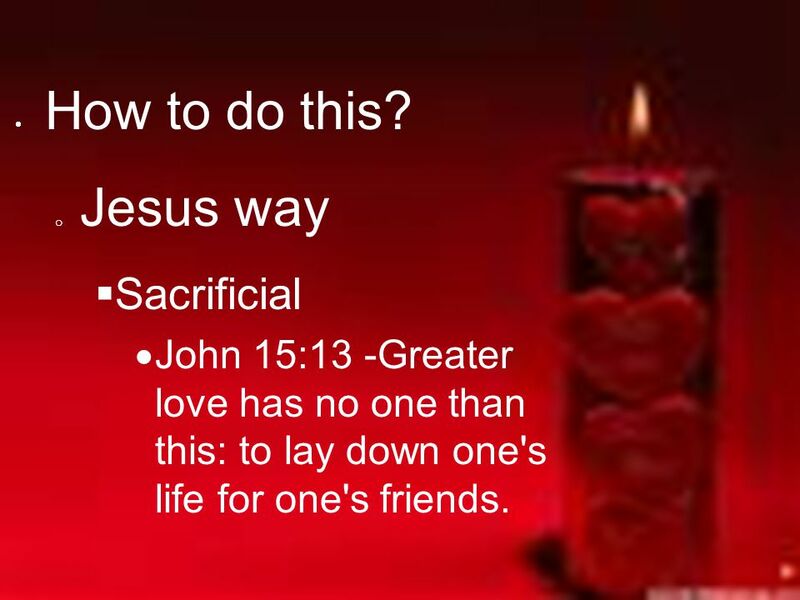 John 15:13 -Greater love has no one than this: to lay down one's life for one's friends. 4 How to do this? 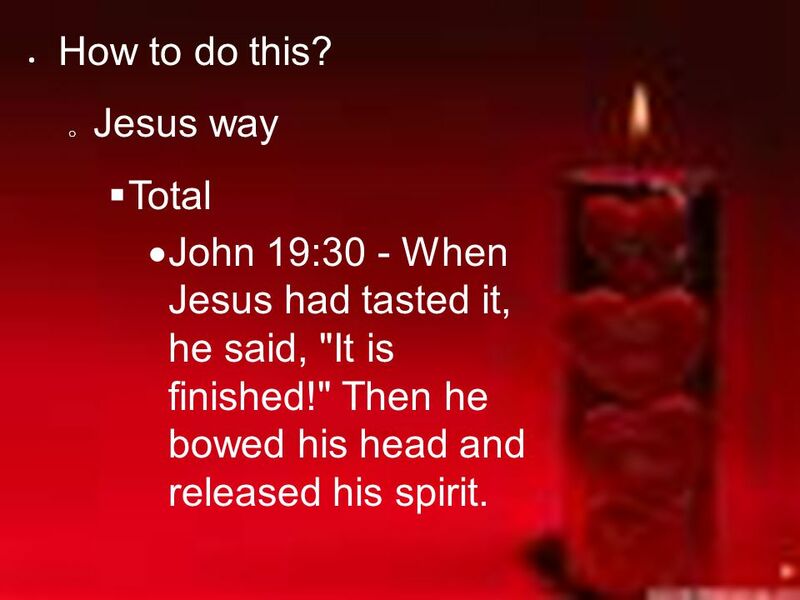 Jesus way Total John 19:30 - When Jesus had tasted it, he said, "It is finished!" Then he bowed his head and released his spirit. 7 Why do this? 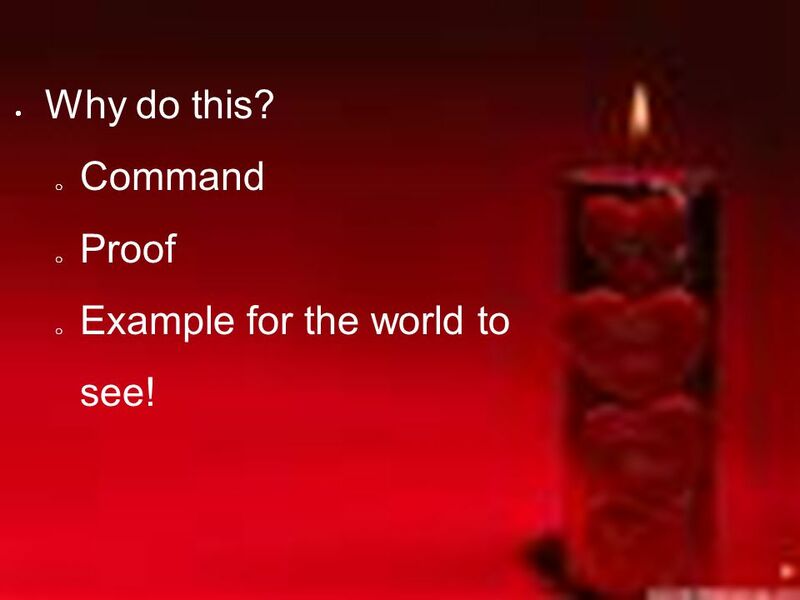 Command Proof Example for the world to see! 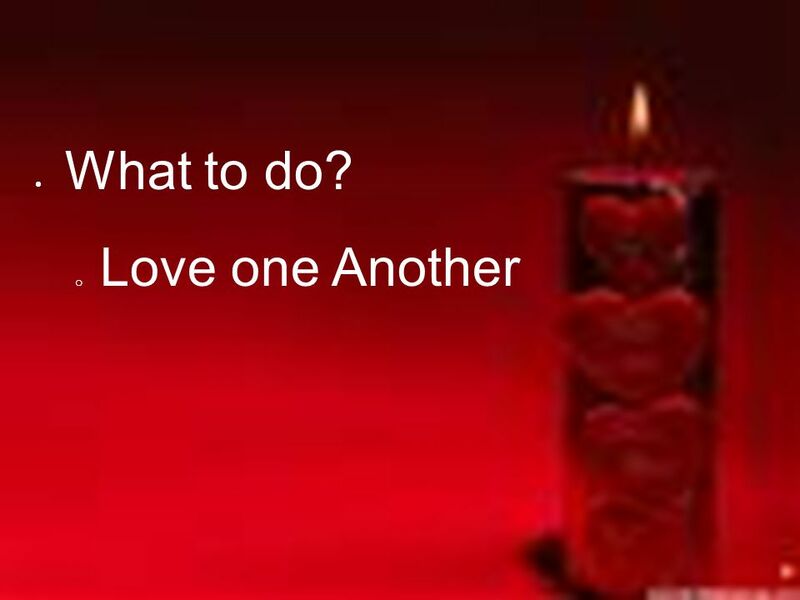 Download ppt "Love One Another." The Gospel Of The Body For by one Spirit we were all baptized into one body 1 Corinthians 12:13. Open My Eyes Ephesians 1:15-23 Jessica Wang. Why our eyes need to be opened? 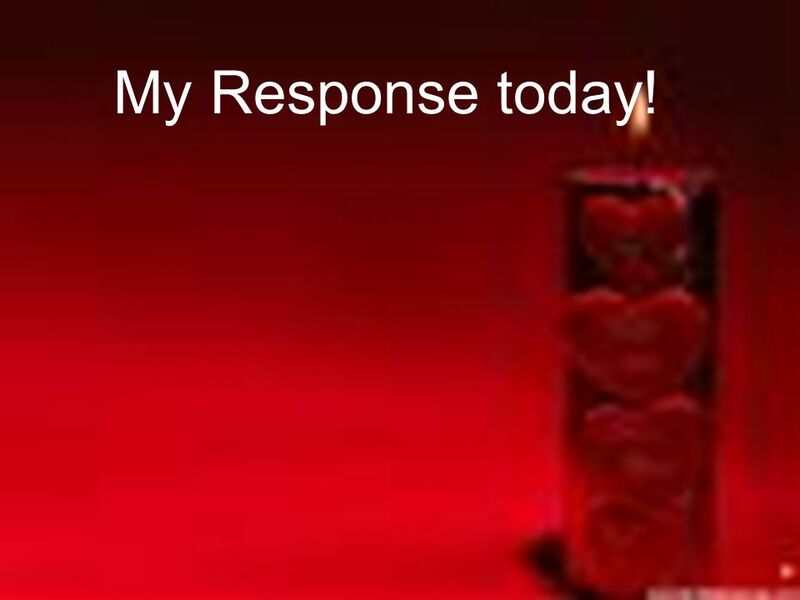 If our eyes were not opened, we could not understand the power and preciousness. 1John 3:17-20 Love One Another. Love Your Neighbor Matthew 22:39-40. 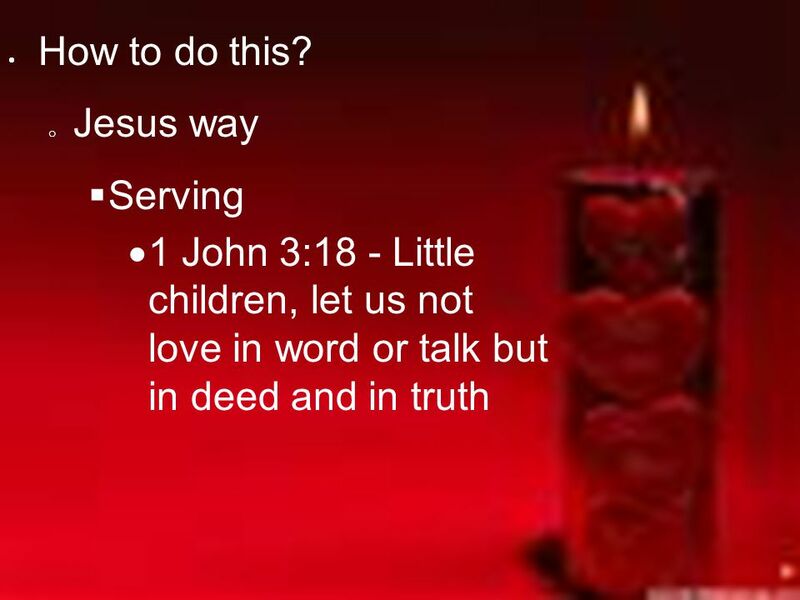 A Love Revolution Beloved, let us love one another, for love is from God; and everyone who loves is born of God and knows God. (4:7) and everyone who loves. 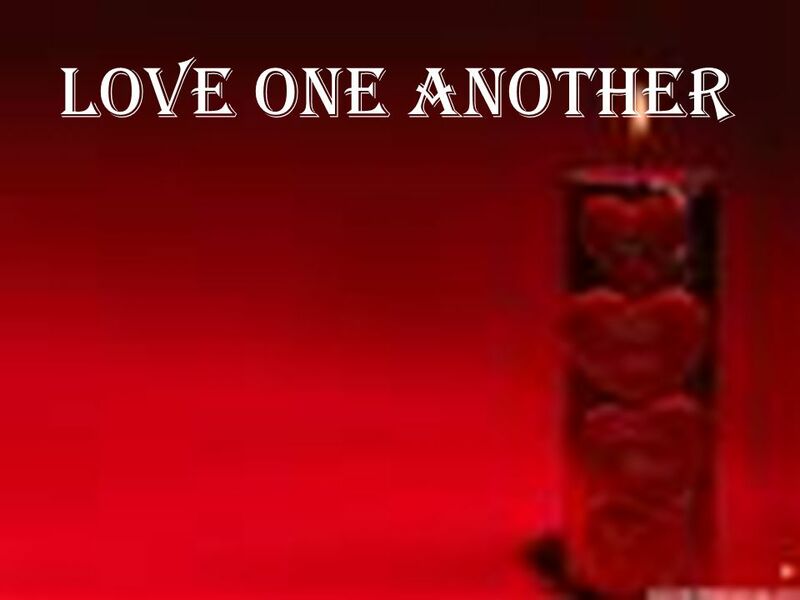 Love One Another August 7. 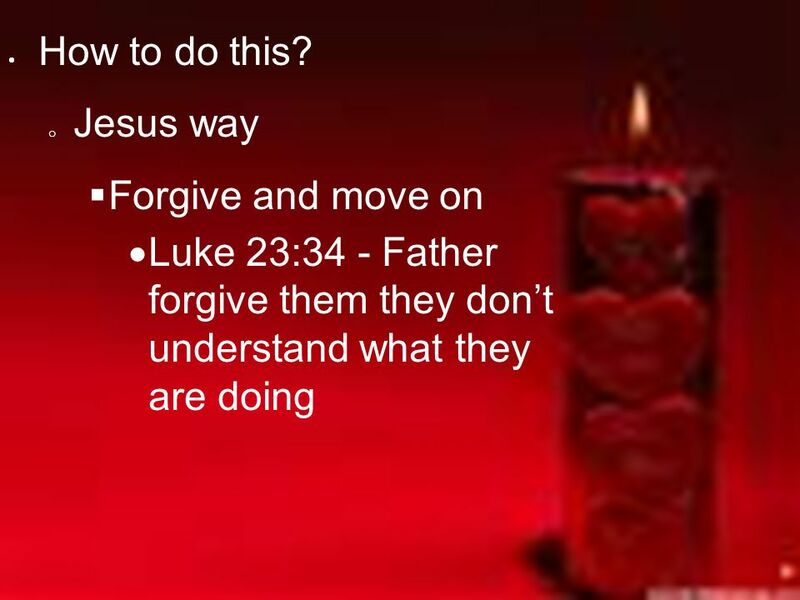  “ Father, forgive them, for they know not what they do.”  Luke 23:34.